Electricity in this area almost on for 24/7 but at least always on 8 hours daily.There is a good road networking to the land and also approximate to other land mark such as; University ibadan, polytechnic ibadan, IITA,Bodija market and lot more......No any additional charges except 10% as agency fee which is not negotiable, NOTE that is not negotiable, we can help you to reduce price of the building but our agency fee is not negotiable.If you can not afford to pay our agency fee, please do not even make inquiry about this property. By contacting us on this said property we believe you have abide with our terms and condition. Thanks for your understanding.marketers; TAIWO SALAM & CO. PROPERTIES LTD is a limited company incorporated and registered in the Federal Republic of Nigeria, of Shoper Heaven Beside Joke Plaza Bodija Ibadan Oyo State Nigeria. TAIWO SALAM AND CO PROPERTIES LIMITED Is a Surveyor and Real Estate Agent company registered in Nigeria under the companies and allied matters act with affiliates in REAL ESTATE. From all of us at Taiwo Salam and co Properties Limited, We seek for your patronage. Your satisfaction is our number one concern and we promise to stay reliable. Thanks for your Time. HOTLINE 08065558146. You can also Whatsapp the number. Mandate: Mr Opeyemi Dauda IBADAN OFFICE (HEAD OFFICE) Asunle Bus-Stop Beside Joke Plaza, Bodija Ibadan Ibadan North Local Government Area, Oyo State Nigeria. (Call/ WhatsApp), 08065558146 Hotline, 08186655448 Mobile, 08150644444 Office. Ibarapa North is a Local Government Area (LGA) in Oyo state, Nigeria. It has its capital/headquarters located in the town of Ayete. Ibarapa North was created in 1996 from old Ifeloju Local Government. 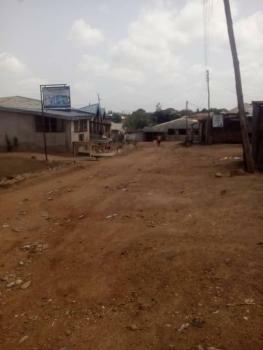 Other notable towns in Ibarapa North LGA are Tapa and Igangan. Each of the towns have quite a number of villages. The major markets within the LG include Ajise, Obada, Alaagbaa, Alabi, Konko, Oja-Isale etc. The LGA consits of Ibarapa people (a yoruba sub-ethnic group). Ibarapa North Local Government shares boundaries with Ibarapa Central, Igbo-ora between Idere and Ayete, Ibarapa East between Alabi Market and Ayete, Iseyin Local Government, Obanese Tapa and with Ogun State Imeko Afon Local Government.